Longtime readers have occasionally humored my attempts at short science fiction stories, the like of which can be found in Eno Magazine and Nature. Writing these short pieces is fun, but there’s a longer story that’s been festering in my head for the better part of a year and it’s finally time to come out. Fleet is set in the near future, in a world of maximum sea level rise where the human population has been reduced to a few small enclaves and disease outbreaks are rampant and devastating. Amid the hardships, a trio of fishers slowly begin to unlock a long buried mystery that will challenge their loyalty to the fleet and each other. Back in the day, I used to love reading serialized science fiction stories in the pages of my favorite magazines. Every month there would be a new addition to these ongoing stories, revealing more about the strange world’s and the people that inhabit them. In that tradition, I will be releasing Fleet as a semi-serialized story — three chapters each month for the next four months. This meshes well with my own vision for the novel, as a story in four distinct acts, as well as my writing pace. For additional fun, I will be self-publishing directly through the Amazon Kindle eBook store. I’m doing this for several reasons, not the least of which is to learn the formatting and software ahead of the eBook promised for our OpenCTD donors. I also don’t have any grand illusions about the success of this effort, or whether it’s the kind of thing that even deserves finding a publisher. There’s just a story in my head and I need to share it with you. Fleet Part 1: The Reach will be available on September 2. Additional parts will be released on the first Monday of every month until December. There will be an announcement about it here as soon as it goes live. I do hope you’ll check it out and join me as we sail across the Reach. 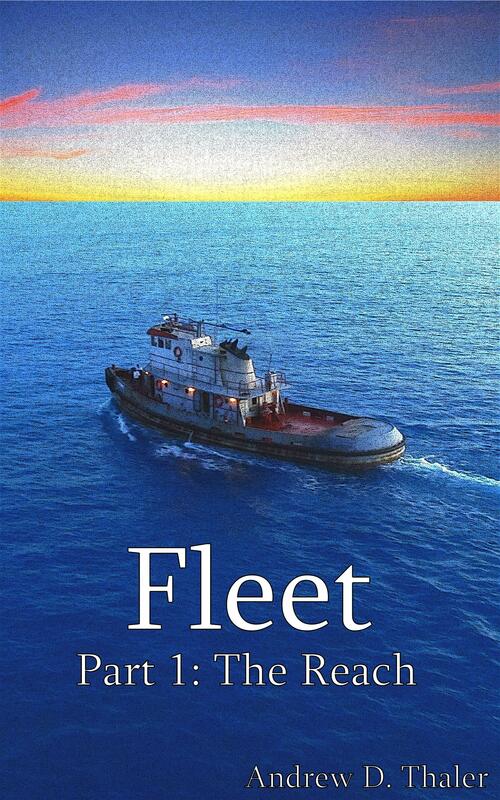 Looking forward to reading Fleet. Would love to talk about this by phone for my podcast.